Re: scissors effect light faster than the speed of light. Relative to a fixed point there can be the appearance of a time differential. I have a theory about how Rossi got to where he is today with the QX reactor. I beleive that Rossi began to use old ash from his reactors that showed signs of LENR activity. This began his ideas about LENR fuel. LENR fuel is prepossessed material that is enriched in the LENR active agent. I accept Leif Holmlid;s idea that Ultra dense hydrogen powers all of the fuel based LENR reactions. In this way of thinking, the LENR active agent is ultra dense hydrogen(UDH). However in Rossi's fuel the LENR active agent is ultra dense lithium. Many elements and compounds can become metallic when compresses enough. Water is an example. It is the LENR native agent in cavitation and HHO. This UDH is what produces the LENR reaction as I have explained in other previous post above. Spooky quantum entanglement goes big in new experiments. In LENR, Bose-Einstein condensates correspond with the production of heat. The production of heat seems to be the most desirable type of LENR energy output that all the LENR developers are after. LENR is also producing sub atomic particles and light, but people seem not to be interested in converting this non thermal energy into useful power in their reactor designs. Yes there is Mills who is trying to convert light into power through solar cells, but that conversion method is not as easy as the production of steam. The production of Bose-Einstein condensation is all about the synchronization of vibrations. The microwaves used in the article from Science News must be linearly polarized so that it imparts energy onto the aluminum foils in such a way to induce synchronous vibrations. The same polarized input energy method is seen in the RF used to drive the QX reactor. That RF signal produces a Bose-Einstein condensate inside the plasma that powers the QX. The 1 ev heat spectrum is produced by the Bose-Einstein condensate and not by black body radiation. Bose-Einstein condensates (BEC) are at it again. The BEC plays a major role in the LENR reaction. When a BEC connects with matter, the BEC makes a direct connection with the natter and that matter becomes part of the BEC. Any energy that is produced by a nuclear reaction that happens in that matter becomes part of the BEC. This is what quantum entanglement is all about. This ability to absorb nuclear levels of power and convert that power to heat is why the BEC is the fountainhead of heat output in the LENR reaction. If a BEC does not form, than the gamma level radiation will not be converted to heat. The polariton condensate is sustained independent of temperature. This kind of condensate is maintained through its level of pumping(Incoming energy), that is how many polaritons become members of the condensate. The petal condinsate is a rotating condensate. It is composed exclusively of electron and photon spins. 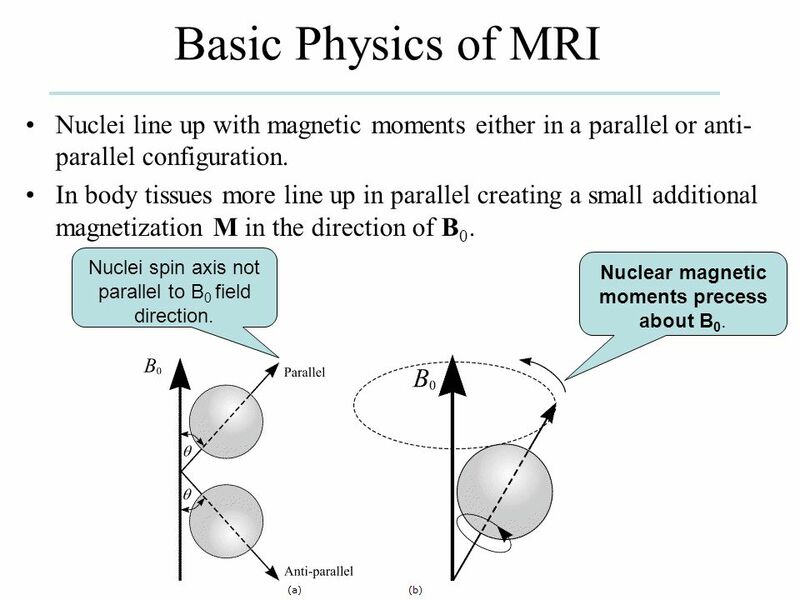 The electron orbit and charge electron properties are located is a metal matrix that is far away from their spins. These spins produce very powerful and concentrated magnetic flux lines that penetrate transparently deeply inside the nuclei of matter that the flux lines happen to fall upon, These lines add energy to those quarks inside the nuclei that they penetrate. This additional magnetic energy breaks apart the nuclei and produce subatomic particles, namely kaons. The petal condensate is a spin based SPP and is a very specialized and obscure field of science. The people that understand and make their living with this type of SPP number in the hundreds throughout the entirety of this world because it is thought to be interesting but of little use. Rossi's QX reactor is sub-critical in that when the RF pumping is removed, the LENR reaction dies away. This is the same spark activation method that Defkalion used to control their system. In the QX, there is a 8 second power cycle. It is imitated with the formation of a plasma by a high voltage discharge. Next, RF stimulation produces light in that plasma which pumps the LENR active agent. That agent produces power after the RF is terminated and the light pumping is terminated. Being sub-critical, the LENR reaction dies away over 4 seconds and terminates at the end of self sustain operation. The cycle begins again with another plasma forming high voltage discharge. The QX cannot melt down because the control systems stops light pumping at the halfway point of this power cycle. Without light pumping, the LENR reaction will terminate in a short time(4 seconds). We can think of the QX as operating like a laser that needs light pumping to produce power output. The QX has a 4 second self sustain period which generates energy gain(heat) after the light pumping is terminated. Making GOLD - Were alchemists right all along? Does anybody here has gold fever? Does new data and understanding related to Low Energy Nuclear Reactions (LENR) provide evidence that at least the main metal choices of the alchemists were the right ones? Alan's experiment can form a baseline experimental platform to test the posits presented in the "Making Gold" video. Alan's experiment can be adjusted to include the required gold producing elements. The foil target can be formed from an alloy of lead and calcium. The gas envelope can be krypton and the high voltage source can interact with the lead alloy. Lawrence M. Principe is the Drew Professor of the Humanities, Department of the History of Science and Technology, Johns Hopkins University. His lecture, "Alchemy on the Cutting Edge, Theoretical Innovations and the Pursuit of Transmutation" was given as the 21st Annual Dibner Library Lecture on December 11, 2014. It is widely believed that chemistry and alchemy parted company around the end of the 17th century. Chemistry became a modern science, alchemy withered away as a false pursuit. The historical reality is, however, very different. The separation of transmutational pursuits from “acceptable” chemistry was complex, having little to do with scientific developments. Recent archival discoveries show that prominent chemists continued to pursue transmutation until at least the 1760s. 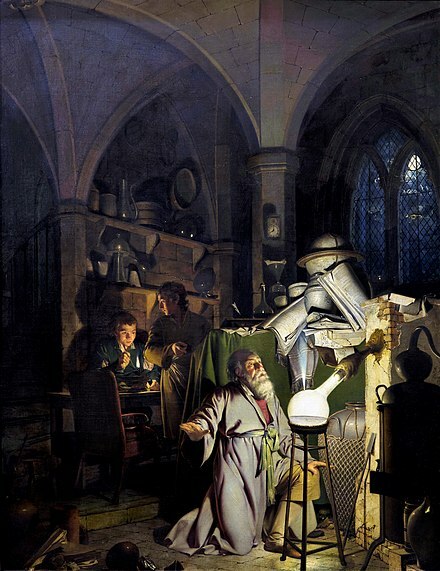 Even in the 19th century, new chemical ideas sparked more than one reconciliation between alchemy and chemistry. This lecture explores the resilience of transmutational aspirations and their adaptability to new chemical theories. It is interesting that the early alchemists may have used bacteria to transmute silver into gold. LENR seems to be the logical extension of alchemy and will be the culmination of the search for the philosophers stone. Mica is a particle chirality filter. This property is derived from the hexagonal crystal structure of mica. Graphite is also a particle chirality filter. It has been reported that a radioactive isotope's emission behavior will be affected by the presence of mica in the neighborhood of the radioactive isotope. Radioactive decay occurs only in left handed chiral spin particles. Changing the spin chirality of a radioactive isotope can increase or decrease its decay rate. Learn about how particle chirality is affected by using graphite as a chiral particle filter. Sometimes radiation is produced by the LENR reaction. Why does this occur? It is my belief that the LENR process that thermalizes nuclear level radiation is Bose Einstein Condensation (BEC). If a condition of BEC circumscribes the LENR reaction, the BEC will absorb that nuclear level radiation and downshift it into the thermal frequency range. But for a BEC to be created, doesn’t the temperature need to be at super low temperatures near absolute zero? There are two kinds of BEC. The BEC that requires super low temperatures involves atoms. The other kind of BEC is the polariton BEC. This kind of BEC is a Condensate that forms in non-equilibrium driven-dissipative systems. The polariton needs to be pumped with energy because it loses energy from the cavity that contains it. If more energy feeds the polaritons than leaks out of the cavity in which the polariton forms, it can live and grow in power. The amount of nuclear energy that the polariton BEC can thermalize is a function of the power that is fed into the Polariton BEC and the amount of power that the Polariton BEC loses over a given time(AKA the Q factor). What affects the Q factor of a polariton substrate? Polaritons are a form of light…actually a mixture of matter and light. Polaritons cannot exist unless they form on a substrate of a metal. The Q factor is a character of the substrate; it is a function of how the substrate lets light escape the surface of the metal. A rough and pitted metal surface will produce a higher Q factor than a shiny smooth mirror like metal surface because a rough metal surface reflects light less well than a shining mirror like metal surface. In general, this Q factor of surfaces applies to any type of wave based EMF including electrons. Superconducting surfaces support the highest Q factor. Very little power loss occurs from the surface of a superconductor. A polariton condensate will retain its power for months when the polaritons are supported on the surface of a superconductor. This theory of polariton condensation boils down to these LENR design rule associated with eliminating gamma radiation from the LENR reaction. If you are using the surface of a metal to produce your polaritons, then roughen up that surface to make it dull and pitted. This is what Mizuno does to his metal surfaces. Mizumo processes his metal surfaces with an electric arc until that surface is well pitted. You can increase the input power pumping of energy onto the surface of the metal so that the extra power increases the number of polaritons produced by the metal surface thereby causing a polariton condensate to form. As an example, when Rossi had gamma radiation problems, he added a heater to his reactor to make sure he started up a HOT reactor. The thermal pumping to the micro particles was increased by the heater so that on startup, the Rossi E-Cat did not produce gamma from a cold reactor. If metal particles are used instead of a metal surface (as per Piantelli), use a mix of very wide range of various particles sizes from micro to nano sizes. A fueled reactor uses a hydride fuel that contains ultra-dense hydrogen(UDH) or ultra-dense lithium to support the LENR reaction. UDH is a superconductor and the hydride fuel that supports it will support the LNER reaction at any temperature and/or polariton pumping level due to the extremely high Q of the surface of the UDH superconductor. The production of positrons in a LENR reactor. Without a polariton BEC to thermalize gamma radiation, the LENR reaction will produce gamma as a result of positron production. The LENR reaction is a weak force reaction. When the LENR reaction adds mass to the protons and neutrons, they will become excited and decay when the LENR reaction adds energy/mass to the quarks inside these nucleons. As a decay process of these nucleons, both positive and negative muons are produced as a decay product. The positive muons come from the decay of anti-quarks in the nucleons. 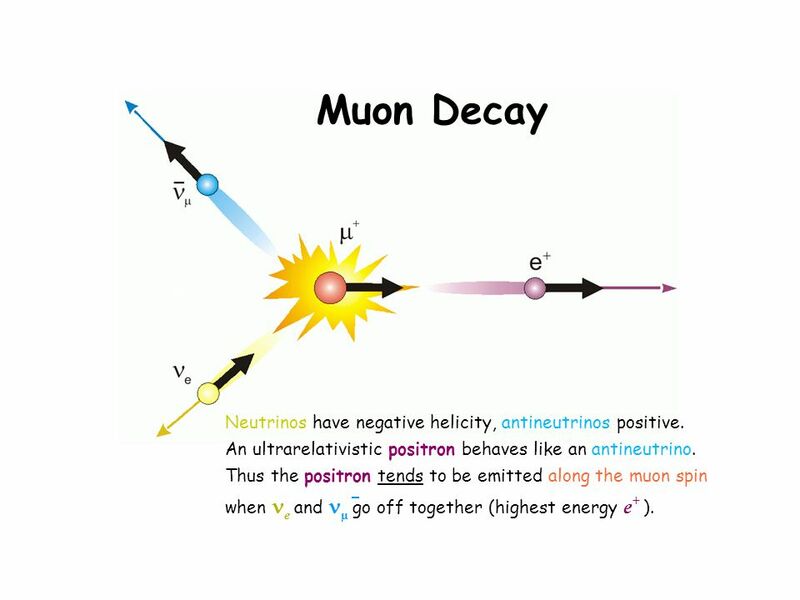 The decay of the positive muon will produce positrons as a decay product. The polariton Bose condensate(BEC) acts as a analog black hole. It thermalizes gamma via Hawking radiation which is a thermal level emmision. The heat produced by Hawking radiation is recovered as energy from the vacuum since the anti photon falls back into the BEC. This BEC also produces light whose frequency is a function of the density of the polariton condensate. It has been said that Rossi's QX reactor produces light from red to blue based on its power level. The final emission type is muon production. There is a post here on the cold fusion thread covering the work that Leif Holmlid has done on Ultra dense hydrogen. In my opinion, Ultra dense hydogen is the fuel that produces the LENR reaction in most gainful LENR reactors. Here is the link to the patent for the device that produces UDH. Get this device working and you are 90% there toward the production of a working LENR reactor. Here is some LENR reactor fuel produced by ME356 that shows transmutation of carbon as the Ultra dense hydrogen escapes from the hydride base carrier particle. The black background is carbon SEM sample tape. The bright fractal like trails are heavy metal elements produced by the ultra dense hydrogen as it moves along and transmutes carbon into metals. Is this really Pyroelectric Crystal Nuclear Fusion? The auditor of this article first lists all the indicators that are required to prove that the fusion of deuterium is taking place, but he latter admits that only neutrons were detected coming out of this reaction. This looks like the LENR reaction to me. The mechanism for the LENR reaction is chiral charge separation similar to what occurs in the SAFIRE system where a double layer of plasma is formed inducing a condition of extreme separation of charge. 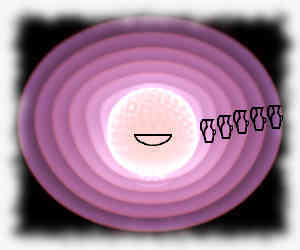 At its very core, all manifestations of the LENR reaction is caused by chiral spin polarization. 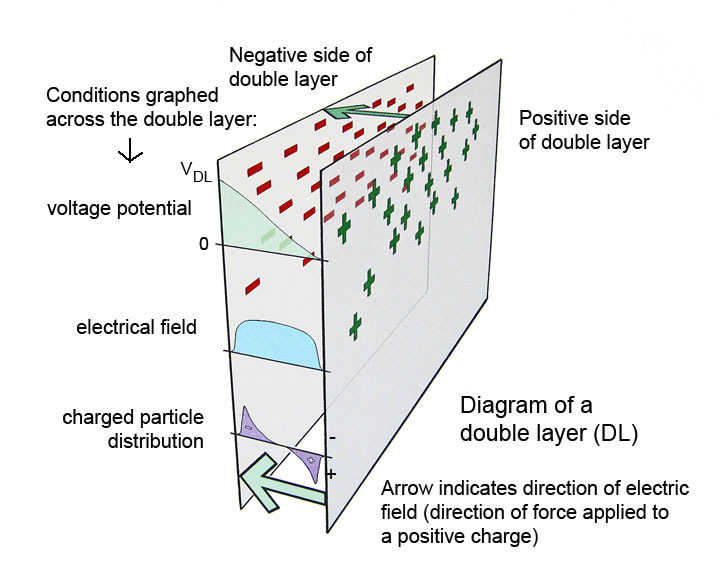 The electric charge separation is produced by Chiral particle spin polarization. The magnetic force generated by this polarization is far stronger than the coulomb force thus resulting in the production of polarized electric fields and current flow. This polarization will induce a weak force reaction that will produce proton and neutron decay and the associated generation of mesons. Another sign of chiral spin polarization is the lack of radioactive reaction byproducts. Radioactive decay is near instantaneous when it is produced though the application of a left handed chiral polarized particle stream. Fusion is not happening in this reaction even if neutrons are detected. Fusion requires the production of specific gamma radiation at 3 and 14 Mev. It also requires the production of tritium and He3. Without the generation of ALL these tell tale reaction products, fusion is unproven and the LENR reaction is indicated. To test this posit as an alternative test to the fusion reaction conjecture, a chiral particle steam produced by this heated crystal will greatly reduce the half life of a radioactive isotope. Is there a LENR experimenter who will verity this posit? Where chiral spin particle polarization is active, this shows what a double layer can do to a tungsten probe tip. By the way, the same reaction happens in the SunCell except the vaporizing tungsten electrode weighs in at over 100 pounds. I was really too quick on the trigger here. I looked at the references included in the steemit article and saw a more detailed description of the experimental results. "Around 1000 fusion reactions per second took place, each resulting in the production of an 820 keV helium-3 nucleus and a 2.45 MeV neutron." But this is a very strange type of fusion. This fusion reaction only produced helium-3. A normal fusion reaction would have produced a 50/50 split of tritium and helium-3. What happened to the tritium? It is my speculation that the particles produced by the Pyroelectric crystals were chiral polarized. This would have changed the weak force decay reaction of tritium to what happens in LENR where no radioactive isotopes are produced. In this case, that means tritium. This reaction looks like a hybrid hot/cold fusion reaction. 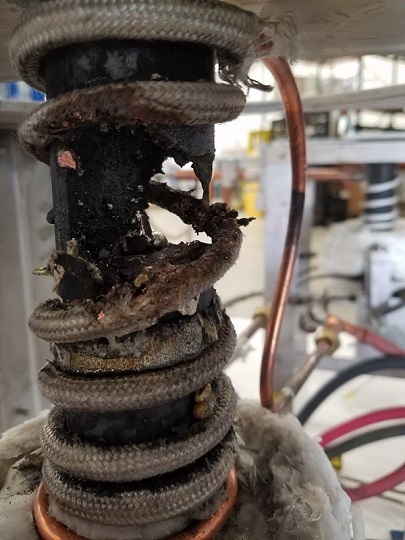 Notice that the copper power cable is not effected by the meltdown. Why? Notice that the meltdown did not occur immediately; it took the best part of a minute. This may be caused by the need for the polariton condensate to store enough power to become LENR active. The SAFIRE fusion reaction also only produces helium-3. This tells me that the double layer generates proton/ proton fusion but like the Pyroelectric crystal experiment, does not produce tritium. The double plasma layer in SAFIRE must also generate chiral spin polarization. Seems to be the first application of the Electric Universe theory . But apparatus is too much complicated , verry fragile.. I wonder what application they will developp ...? Ah ok Russ, I see what you mean by applyin g the slinghshot effect to your apparatus . the magnetic current of big magnet induces a big magnetic field in coil which push it back ? This meltdown of the tungsten electrodes, as well as stainless steel housed platinum thermocouples, etc, reminds me of my experiments replicating and exploring J. L. Naudin's A.P.E. electrolytic cell. The tungsten electrode would become incandescent, would have its surface ate into in a tapering width speckled grain type of deformation. In my last work with the water vortex tube, the length of the tungsten electrode that was submerged in the electrolyte turned to powder and the rest of it outside the electrolyte became extremely brittle the entire length of the electrode. The pvc housing and rubber feed-through were not damaged though. Echoes of The Hutchinson Effect? I wish I had a better setup / lab / lab assistants / etc. etc. etc. Oh well, sometimes you have to run your experiments inside a shoe box, until you can graduate to a bigger and more rigorous setup. Experimenters like using a lot of tungsten in his reactor design. This is a mistake. Tungsten is a wonderful food for the LENR reaction because most of its stable isotopes have zero nuclear spin. On the other hand nitrogen is a LENR poison and will resist being affected by the LENR reaction. The stable isotope of nitrogen has a large nuclear spin: 14N 99.632% spin = 1. Boron has an even better resistance to the transmutation affects of the LENR reaction, Its stable isotopes have a very large nuclear spin. Boron nitride is a compound that is highly resistant to the transmutation effects of the LENR reaction because it is highly MRI active. LENR uses magnetism to destabilize subatomic particles. A highly MRI active compound will convert the energy in the magnetic flux lines to RF radiation. This magnetic to RF energy conversion will weaken the LENR reaction and therefore will protect the highly MRI active compound from being eaten away by the LENR reaction. Oxygen is another favorite food for LENR transmutation. Always uses the nitride. Aluminum nitride is highly resistant to LENR transmutation. Both aluminum and nitrogen are highly MRI active. Another tungsten substitute is Tantalum with a high melting point and a huge nuclear magnetic moment. Tantalum nitride would be a wonderful plasma insulator with a high magnetic moment. I would like to draw a fundamental distinction between two classes of LENR systems: Fueled and unfueled systems. In the 2011 time-frame when Rossi saw gamma, he was running an unfueled system,so was Piantelli and Celani. Russ George is now experimenting with an unfueled system. Also gamma emissions went away when using LENR Fuel. I beleive that the active agent in LENR fuel is ultra dense hydrogen. Rossi, me356, the ECCO reactor and the LION reactor all use LENR fuel. Gamma will not come from these systems since ultra dense hydrogen is a superconductor. UDH has a near perfect Q factor and forms a condensate immediately and instantly. I have advised any LENR reactor builders who will lessen to produce LENR fuel directly by acquiring a Holmlid UDH generator. Just load that UDH into a tube reactor and you are good to go. A new energy source from nuclear fusion (E-cat). Report by Andrea Rossi and Sergio Focardi. For those who are interested in E-Cat history, there is mention of nothing but positrons and gamma rays in this theory paper describing the experiments performed on the Rossi LENR system at the end of the last decade and the beginning of this decade when Sergio Focardi was helping Rossi. Reaction changes since then have removed this nuclear based output from the Rossi reactor. "Most theories so far successfully describe the coupling of Bose-Einstein-Condensates in equilibrium, but they are insufficient to describe the out of equilibrium situation and the synchronization we observe." The fact that the "quantum rhythms" of the two atom clouds are exactly the same after only a few milliseconds implies the existence of a mechanism that dissipates energy. As the system is isolated from its environment, energy cannot be dissipated but only transferred. "The coupling as accounted in textbooks theories cannot transfer energy as strongly and quickly as we observe. So either these theories are missing something – or they are just wrong. It means that it is our understanding of the interaction between the atoms itself which must be modified." In the LENR reaction, when a Bose condensate is involved, the atom to be transformed by the LENR reaction and the BEC become entangled...connected through magnetism via the flux lines of an interconnecting​ worm hole . The energy from both systems synchronize and the protons and neutrons in the atom are affected. Inside these nucleons, the quarks and gluons exist in a state of superconductivity. The nucleons are BECs. During synchronization of the BECs, energy passes from the LENR based BEC to the nucleons​. This energy destabilizes the quarks inside the nucleons and they decay. This decay produces energy that then is passed back to the LENR based BEC. All the subsequent subatomic particles produced by the LENR reaction also decay but since they are still entangled, their decay energy is returned to the LENR BEC. Even when muons produced by the initial LENR reaction catalyze fusion reactions miles away from the LENR BEC, that energy is still returned to the LENR BEC. This is why no nuclear level radiation is seen in a LENR reaction that has developed a BEC. Rossi's ‘the mouse and the cat’ is another reason to beleive that polariton condensation is at the bottom of the Rossi technology. It has recently been shown that many Bose condensates will synchronize in milliseconds through the sharing of energy and eventually combine. ‘the mouse and the cat’ is an array of reactors where one master reactor is powered and the other reactors are unpowered drones. The cat is the driver. The cat syncs up through polariton condinsation with all the other unpowered drones to form a global condensate that covers both the powered master reactor and unpowered drone reactors. Rossi's QX architecture could be influenced by the "cat and mouse" control mechanism. There may be a 10 to 1 drone to master ratio that works best for Rossi. If the QX can produce 100 watts a chip, then Rossi's smallest reactor building block would be 1 kilowatts. One control signal to the master would go into each 1 kilowatt block.